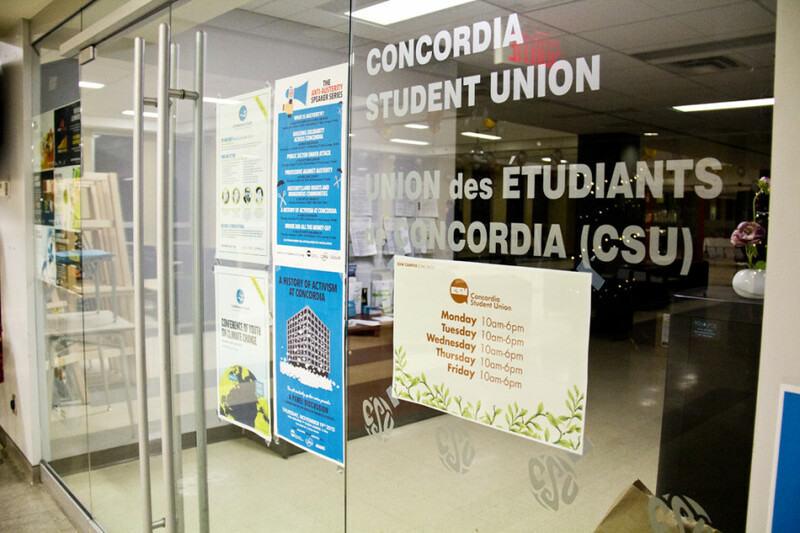 The Concordia Student Union and the Center for Research-Action on Race Relations are teaming up on panels aimed at finding concrete, student-led solutions to sexual violence on campus. Organizers said the series, Taking Back Our Campuses, is for students who are unsure how to speak up about their experiences dealing with sexual misconduct. “It can be for both students and allies who were dissatisfied, confused, unsure and very upset with the administration’s current approach for the whole situation,” said CSU Academic and Advocacy Coordinator Asma Mushtaq. “We want to be more action oriented and we want to elevate the issue of campus sexual violence to a human rights level,” said CRARR Executive Director Fo Niemi. The series will take place on March 13 and 14. The panels and discussions will host a diverse group of women with different age, social and professional backgrounds who will discuss issues tied with sexual violence on campus. The first event on March 13 is a panel discussion that will tackle the troubles women face on campus and consider any legal actions they may take in order to find reliable solutions to problems tied to sexual violence. The second event on March 14 is separated in two sections: a panel discussion followed by a collection of smaller group discussions. Following the CSU’s student congress on campus sexual violence held in late-February, this event is meant for students to talk in depth about the issues that were brought up during the event. CRARR is there to provide legal advice and other options to help women who have faced discrimination, and aren’t aware of the legal tools available to them. The idea of the event is to come up with step by step actions to implement a new campus policy that will favour the safety of women on campus. The CSU and CRARR encourage victims of sexual harassment to talk about their experience in a safe space. This will create a more inclusive space, where victims are free to speak about their experience without any complications. “We don’t want to have some possible participants come in and disrupt and make the discussion unsafe for people” said Niemi. He added that safety is not only physical but also psychological, and it is important for the speaker to feel safe in all forms. The panel will include different perspectives such as intersectionality, international students who have faced cultural isolation, women with disabilities, and women who deal with mental health issues. Niemi said this event is crucial in order to support the women who have been failed by the university to press charges and women who are too intimidated to do so. “A lot of the women that come to us for help to take action is the fact of when they are discriminated or harassed or exposed to all forms of violence on campus. […] They don’t get adequate support,” said Niemi. The event will be held in the CSU Big Lounge on the 7th floor of the Hall Building from 6 p.m. to 9 p.m. on March 13 and 14. The session will be in English, however there will be accommodation for participants who want to contribute ideas in French. Check out the Facebook event for more information about the panelists and group sessions.